The Allied troops began their advance towards inland Normandy the day after the 6th June landings. Some towns and villages were liberated quickly, like Bayeux, while others proved more difficult and were taken with significant loss of life. On 7 June 1944 British units entered Bayeux with no fighting and liberated the town. The same could not be said for Caen and its surroundings where the attackers encountered ferocious resistance. Two attempts to bypass the city of Caen, which controlled the routes towards the Seine and Paris, met with failure. Meanwhile, the American troops’ objective was to take Cherbourg in order to have a deep water port. On 17 June 1944 the Americans reached Barneville-Carteret. But this caused the Germans to retreat to the north of the Cotentin peninsula. It took until 26 June 1944 to capture the town of Cherbourg, but the harbour was completely destroyed. At the other end of the Cotentin front, the Americans took Saint-Lô on 18 July 1944 after the difficult and deadly War of the Hedgerows south of Carentan. A week later, with the arrival of reinforcements and an improvement in the weather, massive airborne intervention became possible. Lord Mountbatten: “As we have no harbour at our disposal, we shall bring ours”. Remnants of the Arromanches artificial harbour, which played a crucial role in delivering supplies to the front, can still be seen in the sea. 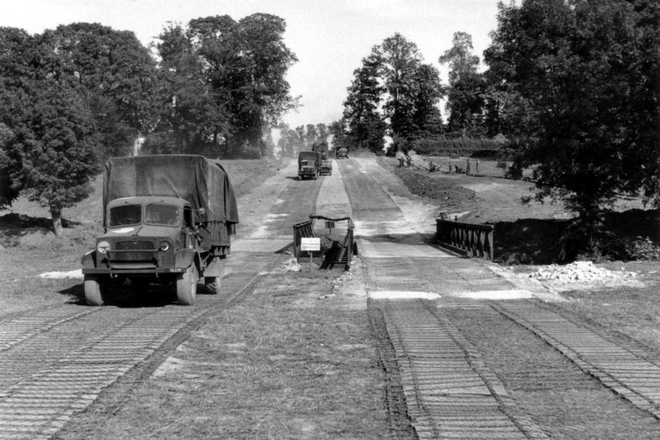 During the Battle of Normandy operations, military engineering units were vitally important in securing victory. 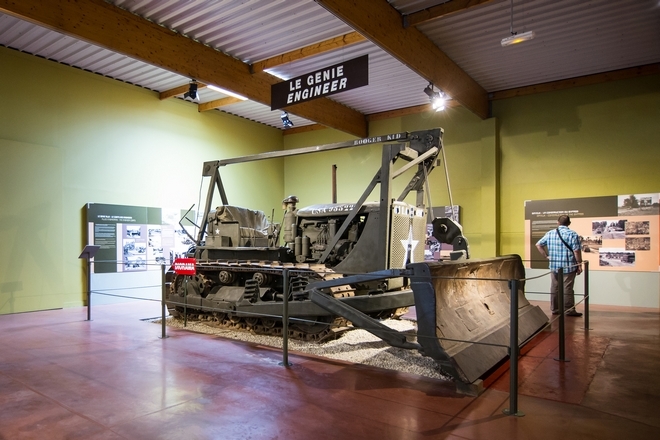 They are honoured in the museum: one of their iconic machines, a Caterpillar D7 Bulldozer, is exhibited in a room in the Memorial Museum of the Battle of Normandy. These machines were essential for clearing the ruins of bombed towns and were used above all by the British engineers during construction of the Bayeux Bypass.